When you’re preparing to relocate your household or business, finding the best Irvine moving and storage company can seem like quite the feat. With an array of options in the area, it can be tough to tell if you’re getting your money’s worth. To help you narrow your selection down, be sure to look for these top three features when you choose an Irvine moving company. If you’re paying for Irvine movers, make sure that they can offer you complete services, including packing services with appropriate materials, knowledgeable staff and moving experts who will coordinate your move, and specialized moving services for delicate, fragile, or heavy items such as fine art, medical equipment, cars and motorcycles, pianos, and more. Make sure that the moving company you choose can handle everything you have to move. Another thing to look for in Irvine moving companies is the capacity to complete any size move. Whether you’re moving a small studio apartment or a large corporation’s worth of equipment, the right company will be able to do both. Professional movers in Irvine should have the appropriate amount of trucks and movers to make sure everything gets packed and transported in a timely manner. Avoid snags in the moving process by ensuring that your chosen movers in Irvine can handle everything you need. 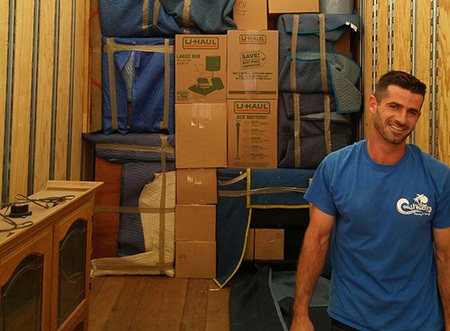 Finally, you should choose an Irvine moving company that offers storage solutions. When you get everything to your new home or business location, you may find that you don’t have a place for or don’t yet need everything inside. In those instances, it’s great to have a moving company that can simply bring your extra belongings or equipment directly to a storage facility. This way, you won’t have to arrange for a secondary move after everything has been unloaded or deal with a cluttered space until you figure out what to do. At Coast Valley Moving & Storage, we’re proud to offer not only full-service moving, but we also offer long- and short-term storage and we have the capacity to make sure everything gets to where it needs to be on time. Call us today to get more information about local or long distance moves for residential or commercial needs, or request a free quote now by submitting our online form!